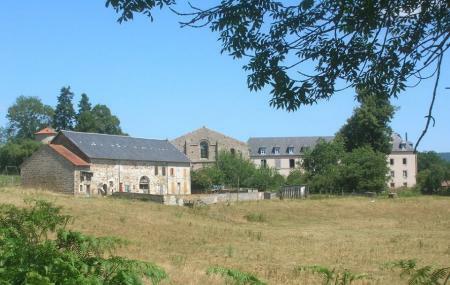 Find hotel near Monastere Notre-dame De B ..
Monastère Notre-Dame de Bellaigue is a historical monastery in Virlet. It is considered to be a monument and is crowded by tourist vacationing in Virlet. The structure of the monastery is artistic and is built in Romanesque style of architecture. It is surrounded by velvety green rolling hills that make this place a serene site. The monastery has beautiful long cloister that you can explore at your leisure. Visit this historic place along with friends and family to enjoy some quality time. Explore Monastere Notre-dame De Bellaigue and other prime spots of the city using Virlet trip planner. You can add cozy hotels in Virlet like La Maison Rouge, Le Lyon Vert and Mona Lisa ÃÃƒÂ NÃÃƒÂ©ris-les-bains. Find out how to reach Virlet to begin with. Plenty of wholesome Virlet vacation packages are available to choose from, pick your today! Love this? Explore the entire list of places to visit in Biollet before you plan your trip. Fancy a good night's sleep after a tiring day? Check out where to stay in Biollet and book an accommodation of your choice. Mooie rustgevende plek. Vooral niet bezoeken om dit zo te houden eigenlijk en als je het doet geef dan gul. Après l'extermination des derniers moines à la revolution française, longue période sans prieres dans ce magnifique endroit..En l'an de Grâce 2000, ils sont revenus dans les pas de leurs frères Magnifique, extraordinaire, calme et prières, voila un endroit ou s'exprime la Charité et l'Amour de Dieu. Une jeune communauté bénédictine fait revivre une abbaye du XIIème siècle dans les Combrailles. Très accueillants, ils portent un message universel par une vie hors du commun. L'abbatiale peut se visiter, style cistercien.